Hair is number one item women give priority among essential items that complete them namely; outfits, dress shoes, jewelry and make up among others. They try at most to make their hair look exception by mixing colors or wear shouting colors to make them look cute. 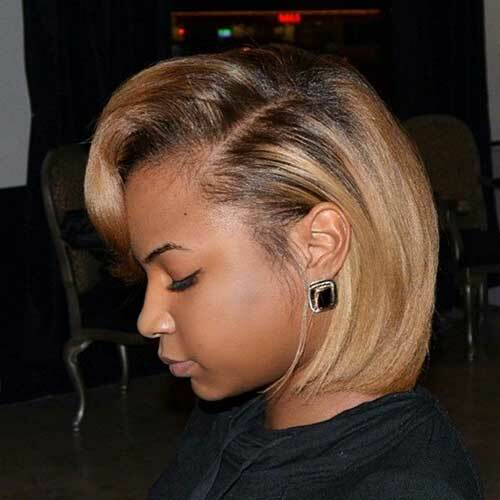 In this article we are going to look at 5 short haircuts on plain colors mixed with brown highlights with different African American women all looking cute despite their face shapes and skin complexions. The African American babe right before you looks fabulous with multi- color medium short weave that is embedded with brown highlights to make the haircut colorful. You can style this haircut in various ways either afro style or bob style which ever captures your heart. On one of the sides this haircut has few hairs and probably at the back of neck. So on the right hand side and top center hair has volume and is pulled on bangs and shape edges at tips. So what is required of you to have this haircut is that at purchase this medium short weave has to be multi colored as you check in the image. And single weave is enough to take you through, so after washing clean your natural hair you dry it using hot comb as in stretching it to remove all tangles then make cornrows. So you fix weave on top on the left hand side and at the back of neck you put few pieces and at the mid top of hair you fix weave with volume and on the right hand side you fix weave too with less volume as compared to mid top part. Push hair straight from top towards the bottom and as you approach front part of hair push hair from right top side towards left to cover half of your face beside eyes then push the rest of hair on the right hand side down the neck with edges touching shoulders. The haircut on top is pulled on long face shape of African American babe, her dark skin tone matched with the color of hair so when she added lip sheen and jewelry for sure no stone was left un turned. But if you have a different face shape African American women out there this weave is not discriminative. 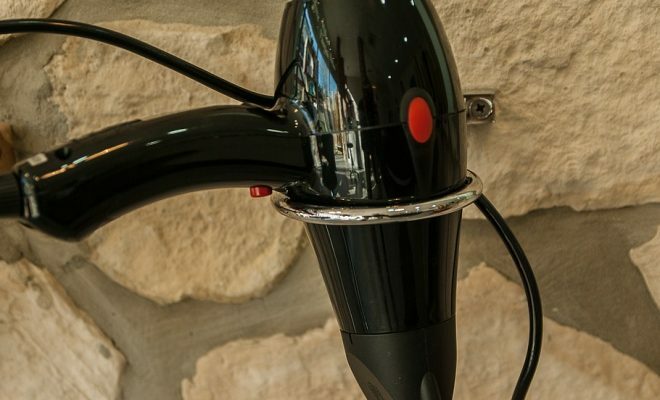 Make sure you use a professional hairstylist to perfect your haircut. Use Bobos Remi Wig & Weave Detangle Spray to condition your hair thus leaving it smooth, moisturized, frizz free and with no tangles. When your natural hair is done with cornrows you then fix weave on using braid threads, they should be stocked by your hair stylist the reason i tell all this is to equip you with skills so that you’re aware of what is taking place when making your hair. Also apply scissors to trim hair where necessary to shape your haircut. 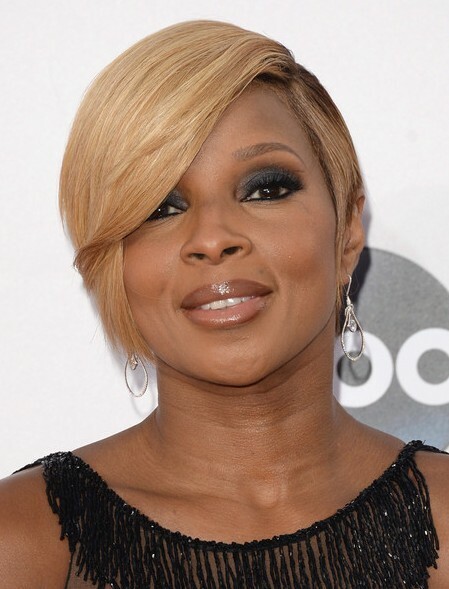 Source: Look stunning with short haircut with brown highlights layered African American that is pushed bob style. 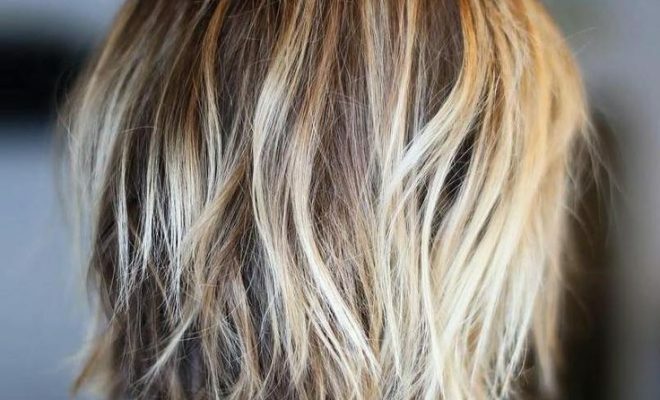 it features on blonde color entirely and to make this look colorful the brown highlights are fixed at the center of hair , where hair parts on the sides to face on the left side at back of ears then few hairs is pushed before ears to make the haircut fashionable. Now as part on the left side and line is secured in between then some hairs pushed towards the right hand side with volume at top tight hand side and finally secured with bangs that part on the sides. At mid crown hair is pushed backwards with volume towards the back of neck to touch shoulders with straight edges. So some hairs on the right hand side is pushed too a back of ears treated the same way like on the right hand side. The haircut in front of you is worn on round face shape, and it looks best on long face shape, heart face shape, Oblong face shape, Square face shape and more name it and you will still be on track. With this haircut part of natural hair is left out especially at a point where hair part to cover weave and make weave invisible. if you color your natural hair as shown in the back ground apply Marrakesh Oil Hair Styling elixir 2 oz and if you apply it on weave you just add hairspray because it will penetrate deep through your hair and make it manageable and healthy looking. On scalp you apply Sulfur-8 Original Hair & Scalp Conditioner 4oz; to help out on dandruff and to condition scalp. 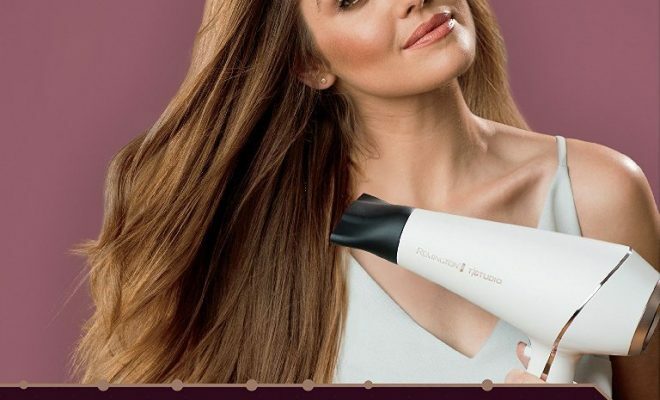 In case you have applied color on to your natural hair, your hairstylist has to have the necessary kits to color your hair and when hair is done, of course on treated hair you apply rollers to make your hair stretch after drying it out. Then apply hair product on scalp to moisturize it, trim it where necessary and make it using small comb with normal bristles. Rihanna is here to set record for as to follow as short haircuts is concerned. She went for short Mohawk haircut with brown highlights of course maintaining natural color on the sides up to mid back of neck. She applied light brown color from mid back of neck coming forward towards the crown and front part of hair long and wavy. This haircut looks hot on light skin tone like Rihanna’s , her hair relaxed then color applied after to avoid color washing away. To make hair easy to comb, especially at the top part you automatically have to set it with rollers so it will be just walk over when styling your hair. as your making your hair especially from mid back of neck up to beginning if crown you face it backwards kind of looking upward then from this point up to front part of hair you push waves towards the center and for hair at the front you make it looking backwards and at the end of day your hair will look stylish. Rihanna is wearing short Mohawk haircut with brown highlights African American on an oval face shape, for any other African American out there with another face shape this haircut also work out. Use Bobos Remi Wig & Weave Detangle Spray to add moisture to your hair, condition it and lock in lasting sheen. Of course you go for hair trim first, then apply color to your natural hair maintain more length at top center of your hair. Apply rollers to make your hair wavy and last use small comb to push waves and for the super short hair apply the tiniest rollers to make it. Alternatively you can make long hair short when you fix hairpins on one of the sides up to the extreme end of back of hair. Once your hair is relaxed, brown color is applied almost two inches from end tips coming in ward on one of the sides that are around ears and front part of hair. 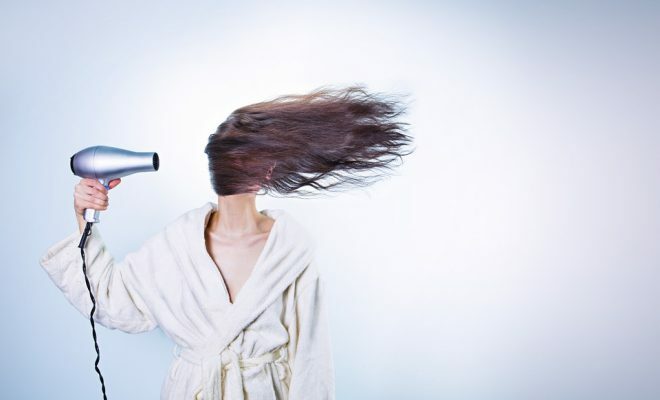 Your hair is shampooed then followed with steam to make it strong at the same make hair look healthy. for hair to lock in waves then apply rollers on to it when it’s still wet then dry it either using hand drier or sit under drier. when you’re through with this process first your comb hair off all waves then using the end tail of small comb part hair on the left hand top side to push hair on left up to the back of neck straight then set hair pins to lock it in position. Turn to the right hand side then push hair wavy from the back coming forward. So as you push bangs towards the right, push long wave from the pint where hair parts on the right up above eyes then proceed with waves on small radius up to ear length as tips touch mid cheeks to a stylish look. This haircut is pulled on square face shape, and for sure she commands respect. 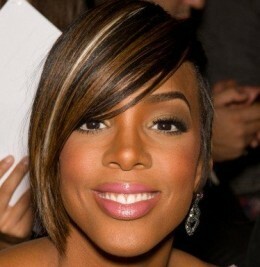 But if any African American woman of another face shapes goes for this haircut it look awesome too. Use Jojoba Oil to lock in lasting sheen, make your hair evenly moisturized and for a healthy look. Apart from applying hair pins on hair at the one of the side to keep it intact, then next item here is to use rollers to set your hair to dry then there after you apply small comb to make your hair as shown in the pictorial. Source: Lovely haircut with brown highlights African American above 40 any woman shouldn’t miss out. This entire haircut features on blonde and blonde highlight features on small area that’s at the point where hair parts on sides just to make it stand out. This haircut looks war and can match any destiny and outfit to keep record. This haircut involves pulling long bangs on fine hair, originally you have to have long natural hair then when you go for a trim hair on the left hand side is cut with short length just above ears. But before ears you cut sharp edge that covers up cheeks. Hair at the right hand side is cut to cheek length while hair at the back of neck is cut to neck length. This haircut on top is pulled on round face shape, but the good news I have for the rest of other African American out there with other face shapes is that it looks hot on you no matter what? Use organic root stimulator olive edge control gel 2.25oz for long hold, slick down edges and lock in lasting sheen. After adding color to relaxed hair, what next is to dry hair then trim it at ends to give it shape. You then apply rollers to it for purposes of making it manageable when combing it then at the end of day when you pull bangs hair will just be swift.